As the seasons change and the temperature drops many of us begin to think about the dreaded colds and flus that accompany this time of year. It seems like we’re always on a mission to defend ourselves from the germs that everyone around us is trying to share. To help us make it through this time of year, lets explore some foods we can add to our diet in order to help us naturally fend off these sickly invaders. 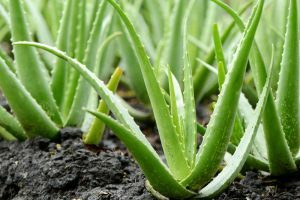 Aloe Vera – Typically we think of this plant in the summer when we’ve spent too much time enjoying the sun and as a result end up suffering from a sunburn. What most of us don’t know is that this plant can improve our health on many levels when we take it internally. Aloe contains essential components that the body needs in order to maintain a healthy immune system and to achieve radiant health. This component acts as an anti-microbial – meaning it has the power to kill off not only bacteria, but fungi, viruses and parasites as well! How to use: Fresh whole aloe leaves can be purchased in the produce section at Organic Garage. Cut the portion size you desire to eat from the aloe leaf, remove the thorns on either side, and separate the gel from the skin with your knife. The inner gel of the leaf can be easily eaten as part of your smoothie, salad, salsa, soups, spreads or dips! Try this smoothie made with aloe. Coconuts – This is an amazingly powerful food that we don’t utilize enough in North America. Coconut oil possesses incredible health giving properties, including an anti-microbial action -yes, it too will kill off bacteria, viruses, yeast and fungi! How to use: Coconut oil can be blended into a salad dressing or smoothie. Used in your baking as a substitute for “shortening”. 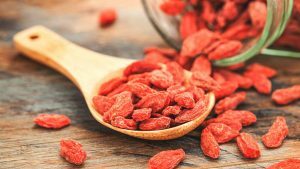 Gogi Berries – These little red berries are becoming increasingly popular as we learn more about the many health benefits they provided. Gogi berries are typically found in a dried form in the grocery or health food store. These berries are world renowned for their ability to improve the immune system. Gogi berries enhance the functioning of the thymus gland and increase stimulation of the immune system with a specific role in protecting us against viral infections. Hempseed – Hempseeds are a great alternative source of protein and they also help to keep our immune system strong. A component of these seeds is responsible for building both the natural and acquired immunity we have against foreign microbes. This piece is essential to a healthy immune system because it makes up our first line of defense against infection. Like the superfoods listed above, hempseeds destroy bacteria, viruses, and fungi. 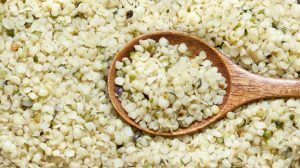 Eating hempseeds will ensure the body has the reservoir of resources needed to support proper immune function. How to use: Great eaten alone as a snack or sprinkled on salads. They also blend well and add richness and flavour to smoothies and salad dressings. Spirulina – Use this superfood to tonify your immune system. 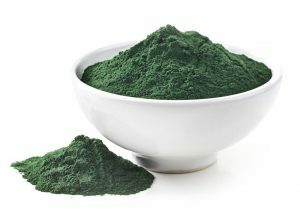 Incorporating this algae into your diet will improve the function of your immune system because it increases the production of antibodies. Antibodies allow the body to better protect itself against invasive microbes and viruses. To continue to discover natural support for your immune system contact our office to make an appointment with one of our Naturopathic Doctors. Balance Point Health Centre 289-242-0987. Dr. Jennifer Kaster, Naturopathic Doctor, Oakville. If you want to get a good deal from this piece oof writing then yoou have tto apply such techniques to your woon web site. bok marked to see new things in your web site.